MichaelHeindl is one of our local artists currently using a studio space offered by studios das weisse haus in Hofbauergasse 9, 1120 Vienna. Born in 1988 in Linz. Workes and lives in Vienna, Austria. For this Video, I fixed a hidden camera on the tail of a police car. My intention was it, to record all occurrances behind the vehicle. 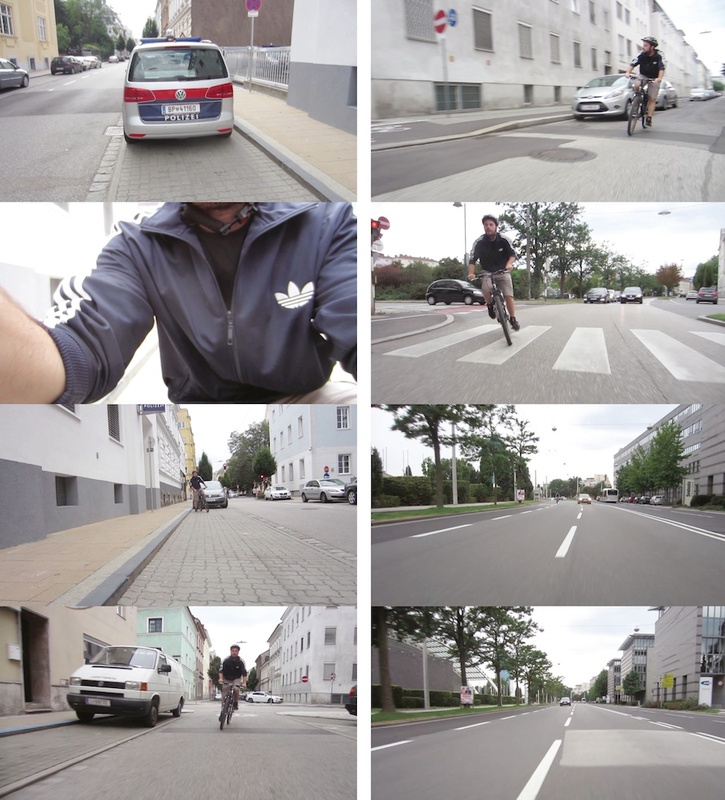 When the car moved off, I started to follow it on my bicycle. I could make it to chase it for about two kilometers. Then the car speeded up and disappeared from my view. 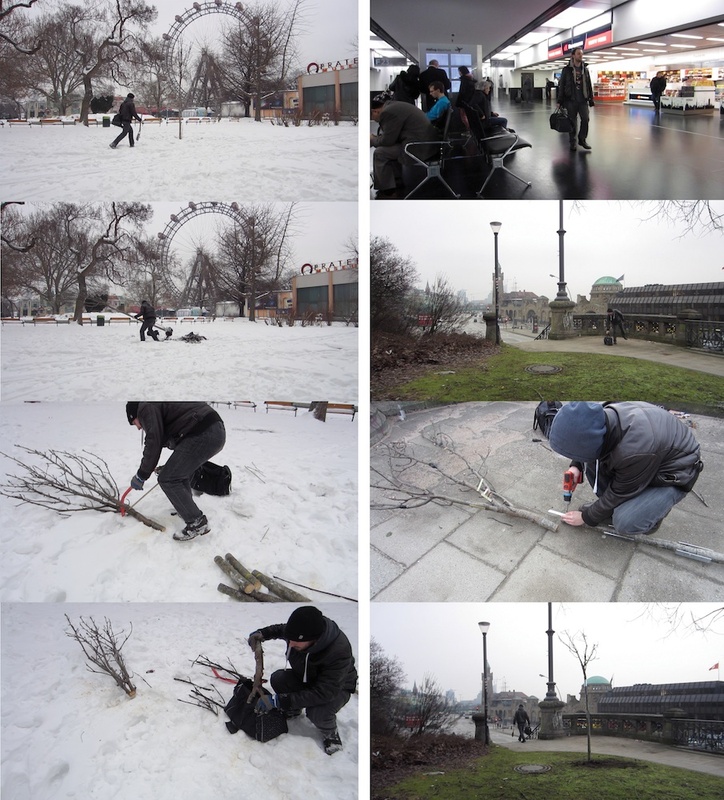 First I lifted a tree in a Viennese park. Then I cut it into pieces to make the plant fit into common hand luggage. With this bag, I went to the airport and took the next best flight to Hamburg. After I have arrived there, I recomposed and replanted the tree on an appropriate site.